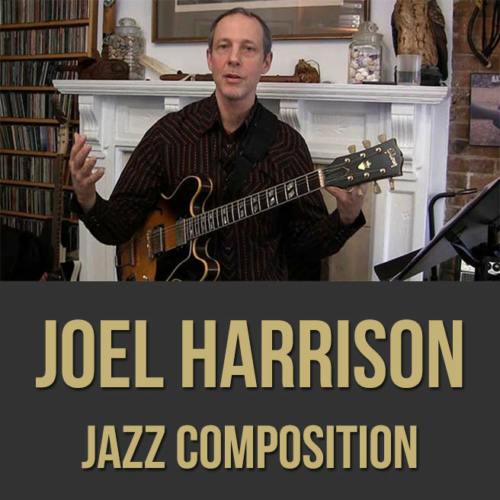 Description: In this full-length jazz composition masterclass, Guggenheim Fellow and multi-award winning composer Joel Harrison gives you insight about his composition process. Joel discusses both standard and long form pieces, unconventional harmony, instrumentation possibilities, melody, rhythm and much more. 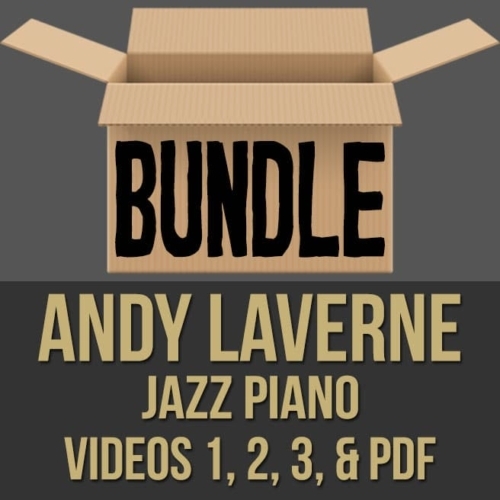 If you are looking to enhance your jazz composition chops, this lesson is for you. 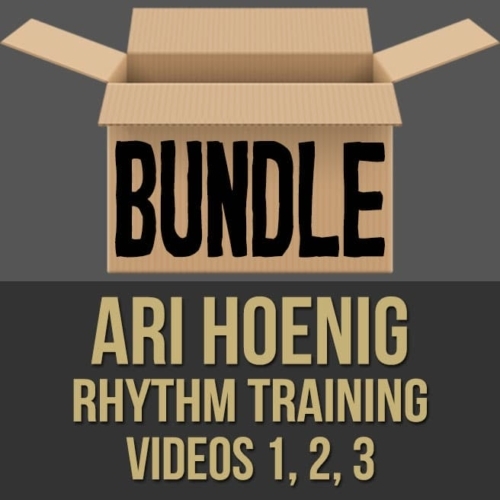 NOTE: There is a PDF bundled with the "purchase" version of this video (not the $8.99 "rental" version) which includes the embedded charts/scores for “Harbor”, “The Wheel: Movement 5”, “Urban Myths”, "Chant for Jim Pepper” & “Grass Valley and Beyond”. 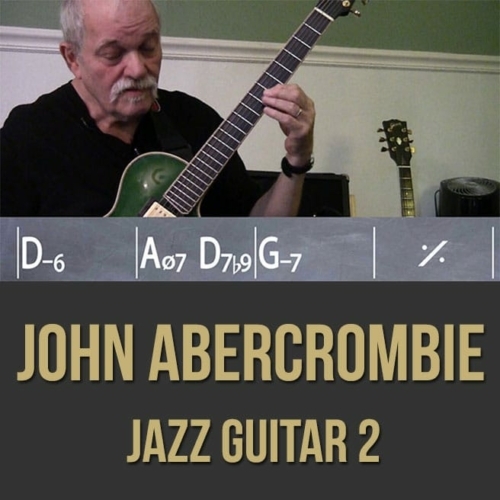 Topics Covered: Jazz, Composition, Influences, Standard Forms, Long Forms, Unconventional Instrumentation, Context, Solo Sections, Motifs, Melody, Harmony, Groove, Focus, Variation and Repetition, “Chant for Jim Pepper”, “The Wheel”, “Urban Myths”, “Grass Valley and Beyond”, Organizing Ideas, Continuity, Shape, Balance, Cadences, The Element of Surprise, Etc. Joel Harrison’s musical journey has few parallels in modern music. 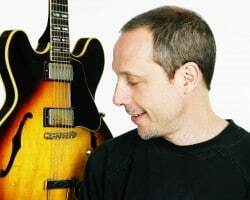 Guitarist, composer, arranger, vocalist, songwriter, bandleader – Harrison deftly juggles all of these roles, melding influences from jazz, classical, country, rock, and world music. His expansive sound fits equally well in jazz clubs and concert halls – and the occasional dive bar across town. For brevity’s sake it would be safest to call Harrison’s home base jazz, a descriptor that mutates to fit a staggering array of styles and approaches. He finds inspiration from music too often barred from admission into the jazz consciousness, taking his place in a tradition of exploration and interpretation that reaches through the open-eared reinventions of Miles Davis and Charles Ives to the American rhapsodies of Walt Whitman, Jack Kerouac, or Hank Williams. Harrison’s success can be seen in the accolades he has received: he was named a Guggenheim Fellow in 2010, is a two-time winner of the Jazz Composer’s Alliance Composition Competition, has received grants from Chamber Music America, Meet the Composer, the Flagler Cary Trust, NYSCA, and the Jerome Foundation. Growing up in 1960s Washington D.C., Harrison became enamored with the inventive guitarists who were blazing the era’s new trails, such as Jimi Hendrix and John McLaughlin. In his twenties, after graduating from Bard College, Harrison undertook what he calls “the classic Jack Kerouac search for America,” hitchhiking cross-country and exploring the rich diversity contained between its coasts. “I wanted to figure this country out.” Sure I was a little naive, yet that search still resonates in my music. Throughout his journey disparate genres have met in surprising ways. His groundbreaking Free Country ensemble, released on the German label ACT, reimagines country and Appalachian folk music, while his Fojoto Trio with banjo player Tony Trischka and West African kora player Foday Musa Suso ties American roots music to traditional African songs. A new project Skin and Steel, with the young sarod master Anupam Shobhakar explores Indian music, jazz, and American roots. A gifted arranger, he has also delved into the work of other composers – Beatles guitarist George Harrison, for instance, on 2005’s Harrison on Harrison (Highnote), or legendary drummer Paul Motian, whose repertoire Harrison arranges for string quartet and two guitars on his latest CD, String Choir (Sunnyside). No matter the source material, it is filtered through Harrison’s individual perspective, more an act of recomposition than arrangement. Harrison’s most important mentors have encouraged his inclusive approach. 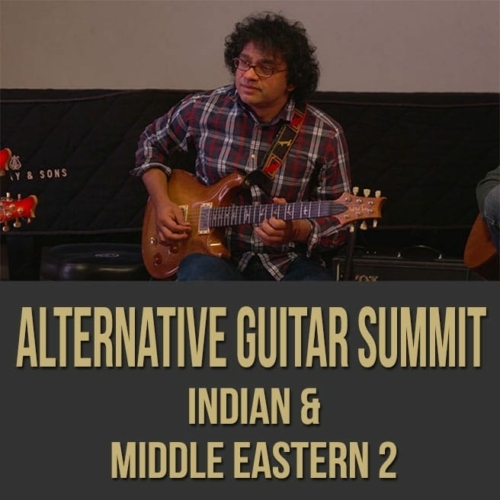 He has studied western classical music with Joan Tower, Hindustani classical music with Ali Akbar Khan, jazz with Charlie Banacos, and the fusion of approaches with W.A. Mathieu and Ran Blake. Perhaps the most vivid examples of his own take on such experiments can be found on Range of Motion (Koch Jazz, 1997) and The Wheel (Intuition 2008), which bridge Harrison’s interests in classical and jazz. The former was written for an octet with woodwinds featuring Paul McCandless and bassoon player Paul Hanson; the latter also integrates the composer’s country and world music influences, replacing the winds with a string quartet that includes violinists Todd Reynolds and Christian Howes, violist Caleb Burhans, and cellist Wendy Sutter. His classical compositions include Life Force, a collection of duos for cello and violin performed by Wendy Sutter and Tim Fain, on Philip Glass’ Orange Mountain Music label and a 2007 solo for marimba which won first prize in the Percussive Arts Society’s worldwide competition. The boundaries are further blurred in Harrison’s latest project, Singularity, which utilizes techniques of contemporary classical composers in compositions for a septet of modern jazz’s finest instrumentalists. The ensemble includes Christian Howes (violin), Donny McCaslin (saxophone), Dana Leong (cello), Gary Versace (piano), Stephan Crump (bass), and Clarence Penn (drums), taking their place alongside the likes of Nels Cline, David Binney, Norah Jones, Dave Liebman, Uri Caine, Jamey Haddad, and Dewey Redman on Harrison’s impressive list of collaborators.